New Audit Information for Get Pending Connection and Get Pending Shares – We expanded the pending connection request information to include the information of the account that sent the connection request. This audit information can be used to help you determine whether the connection request was sent by the Property Data Administrator (PDA) or by another user on behalf of the Property Data Administrator (sometimes called the “middleman”). To maintain consistency between the connection and sharing request services, the same audit information is now included in the web services that return the list of pending property and meter shares. This allows you to see when someone other than the PDA shares the property (or meter). Example Pending Notification (new audit fields in red) – in this example note that one account (111853) has created the connection request on the behalf of another account (111852). New Audit Information and Notification Types for Notifications – Every notification now includes a type code that will identify the notification type as well as information on the account that created and the time when it was created. This additional information provides you better context on the notification type without having to rely on parsing the text in the description. Example Transfer Notification (new audit fields in red). The following example shows that a property transfer occurred along with who the old and new property data administrators are. Change to Sharing Rules and Ability to Restrict Others – We removed two important rules that may affect how you conduct your business. More than one web services user can have full access to each meter. We now allow multiple web services users to have full access to each meter to facilitate a more diverse set of business cases. Many customers need to work with both utilities and third party consultants and/or may have their own internal energy management software tools. No providers can block access for any other providers. Previously, because of the preceding rule, a web services user who had full access could choose to prevent their customer from providing even read only access to other web services accounts. You are no longer be able to apply this setting. The global level setting was removed from the Account Settings page within the application and the customer level setting was removed from the customer XML schema. Units for Plant Design Flow Rate – Previously, this property use detail had no associated unit of measure options and is assumed to be in Million Gallons per Day (MGD). A selection was added that includes both MGD and Cubic Meters per Day (abbreviated M3PD). The user interface was updated to include unit of measure options for this use detail. Prison Property Type for Target Finder and Design Web Services – The Prison property type previously existed for operational properties only. It was added as a valid property type in the Design and Target Finder web services. The design property type was added to the user interface. Test Property Designation – Under the field for construction status you now have a new option for “Test Property.” This designation is intended for properties that you (or your clients) may be using for test purposes. In addition, the account services that allow you to retrieve and update account information will include an additional setting to indicate whether test properties in the account should be included in chart/graph calculations. You can also change your customer’s account settings by running a PUT /customer web service. 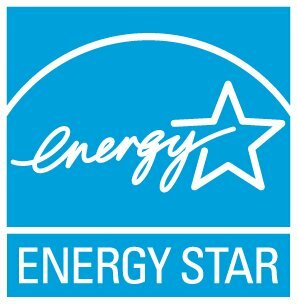 Revised Property Use Details – These changes were made to support a planned new ENERGY STAR score for Food Sales, Supermarket, and Convenience Store in Canada (to be released in 2015). In addition, there are some changes to create better consistency between the Retail and Supermarket inputs.